odor : Crisp, Earthy, Sweet, Herbaceous, with Almost a Hidden Fruity Note. Juniper essential oil is steam distilled from the berries of an evergreen shrub native to just about everywhere in the Northern Hemisphere. The needles and berries of Juniper have a long history of traditional herbal use - They have been used medicinally for urinary infection Juniper berry oil is distilled from the dried ripe berry of the juniper tree. The fruity, woody aroma of juniper berry combines well with citrus oils in room sprays and adds a masculine scent to aftershaves and colognes. 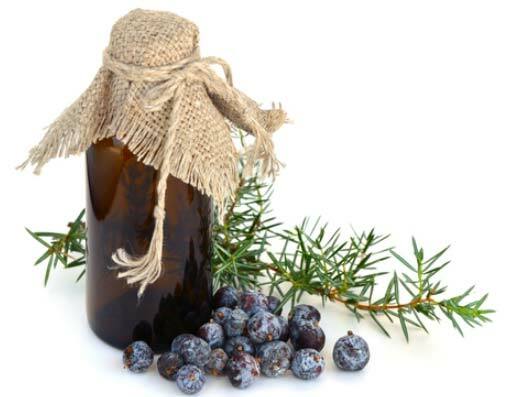 Juniper berry invigorates and encourages the release of toxins when used in massage oils. It is usefull for cystitis and urethritis, for respiratory complaints such as bronchitis and coughs, as well as gastrointestinal infections.